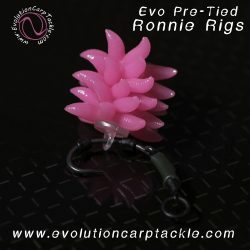 The Evo Pre-Tied Ronnie Rigs. Very easy to use simply use a chod rig or attach to a boom to make a combi rig. Adjust the angle of the hook by moving the hook beads to fish closer to the lake bed if needed. 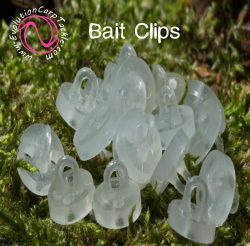 Thanks for so many people asking us to release our Pre-Tied Range. 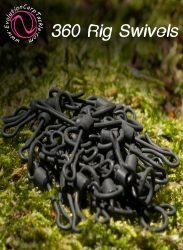 Since the launch of our Evo 360 Rig Swivel which was designed to make our own adjustable 360 Rig…hence the naming of the swivel. 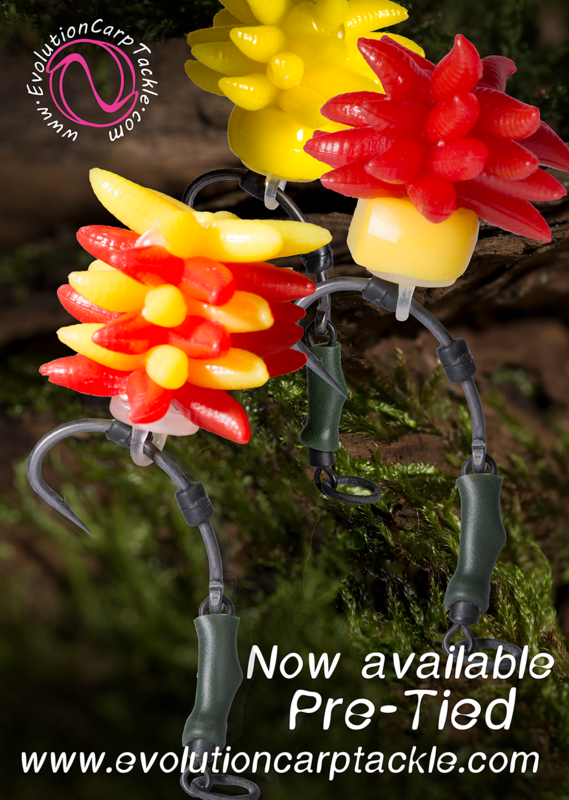 The Ronnie rig became very popular around the same time. 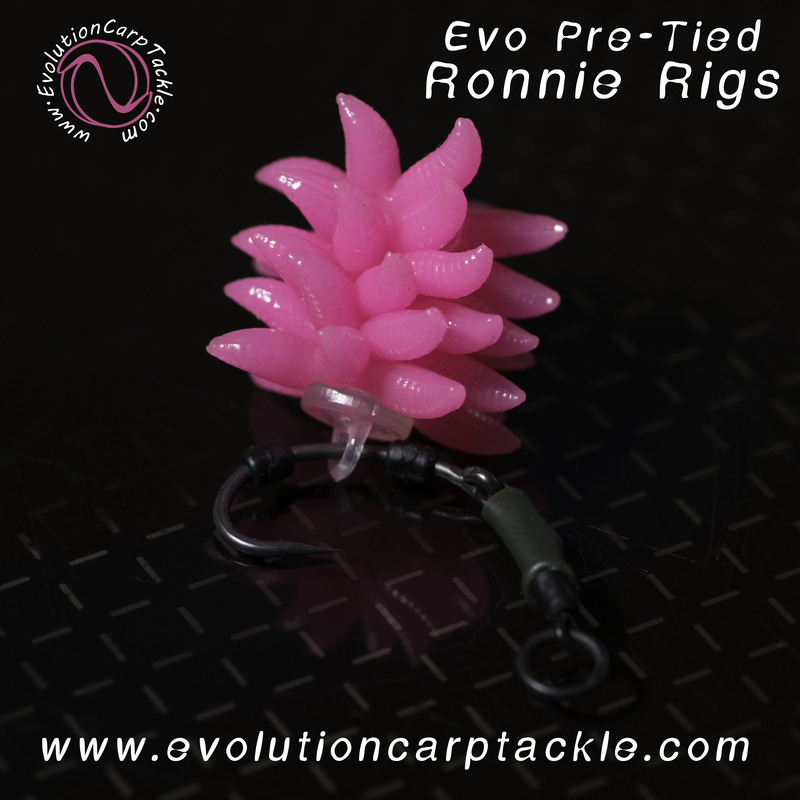 The Original Ronnie uses Shrink Tubing to fix the hook at the desired angle. 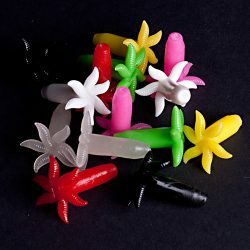 My idea uses Silicone Tubing instead. 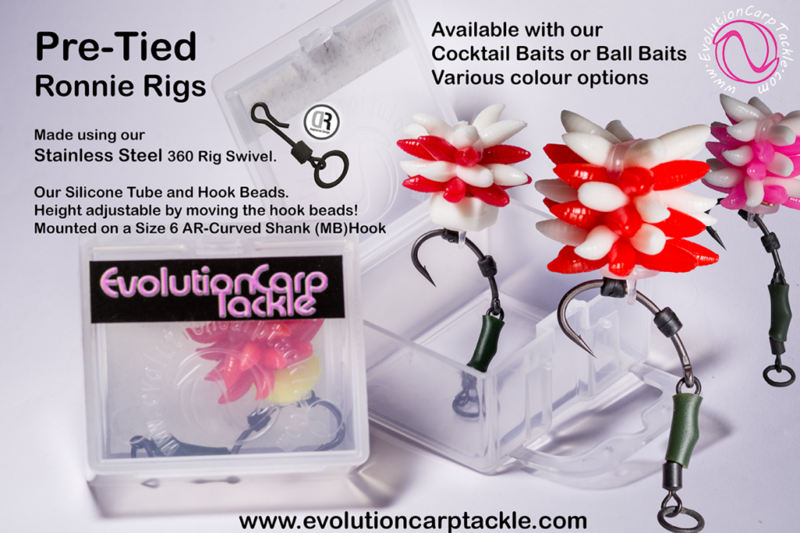 This gives you the option of adjusting the hook angle by simply moving the Evo Hooks Beads…this will change the way the rig is balanced and the point of the hook can be fished very close to the lake bed……This is a huge edge for wary fish that spook from rigs that are to high off the lake bed.. 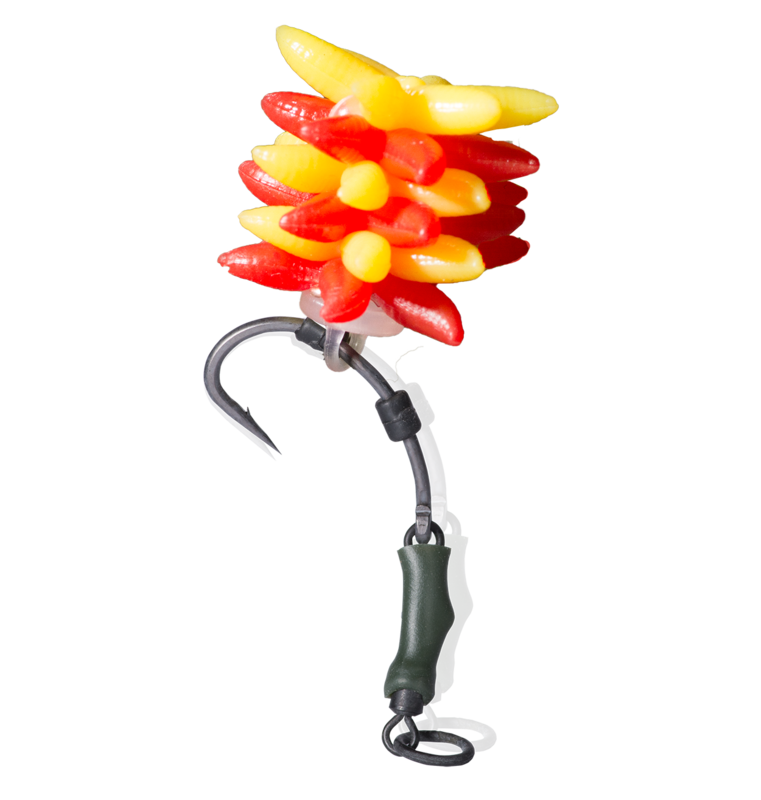 The Pre-Tied Range will consist of Ball Baits and Cocktail Baits mounted to Size 6 AR-Curve Micro Bard Hook The Rig will be made from our 360 Rig Swivel and our Silicone Tube. 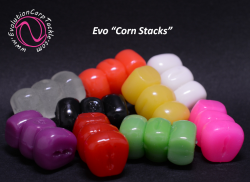 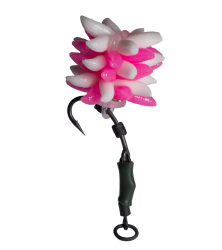 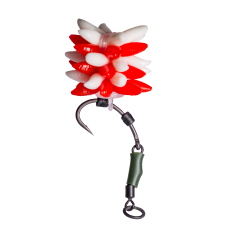 2 Evo Hook Beads are used to hold the Bait in position.